You ever just feel like you’re under some type of attack? Like every way you turn or every where you go there is constant negativity being thrown at you. We all have our weaknesses but it just seems like every weakness you have has teamed up together and planned the biggest war upon you. The enemy is very aware of your weaknesses and will use every one of them to discourage you or knock you of your square. The enemy does not want you to succeed. That’s why in these moments you have to stay in tune with your strengths and stay focused on you goals. Whatever you need to do to stay sane and help you refrain from losing it do it. For me, MUSIC will always be the answer to keep me calm. Any emotion and feeling can be expressed through music and there is a song for EVERYTHING!!! Whenever life is trying to take a toll on me, I put on my favorite jams and zone out. One song in particular that I am loving is Fantasia Barrino’s No time for it. The song basically says that there is no time for the negativity and naysayers and haters. Keep grinding and keep going!!! I’ve shared some of the lyrics to the song below. This may be short and sweet but just know that when it seems like everything and everybody is against you, just remember you have NO TIME FOR IT!!!!!! 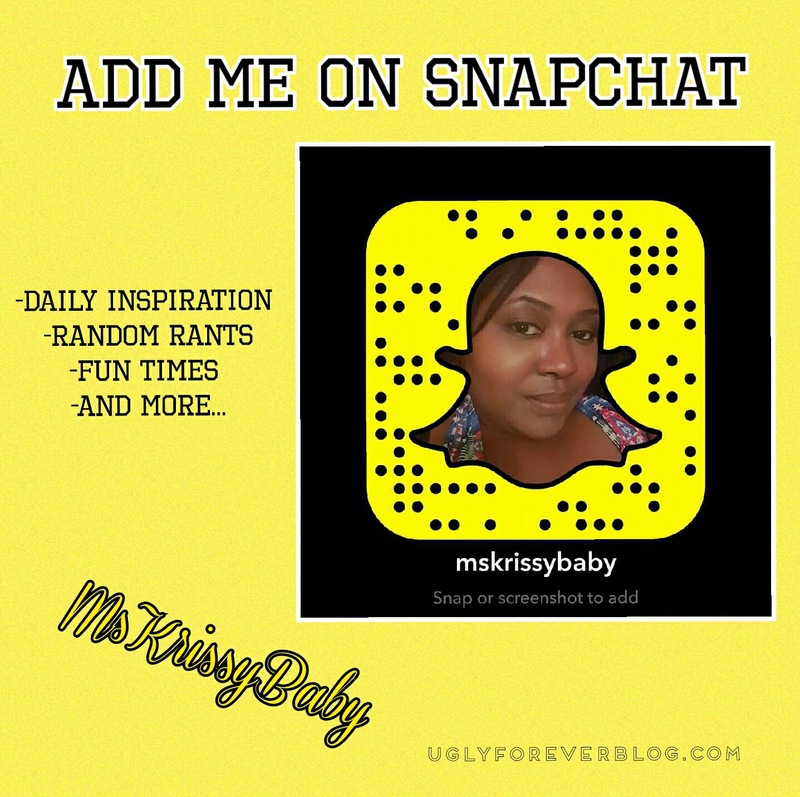 Posted in Motivational Mondays.Tagged Achieve Your Goals, Aspirations, Follow Your Dreams, Krissy G, Love Yourself, Motivational, Motivational Monday, Music, Self Esteem, Self Love, UGLYForever. I subscribed to Tidal a few months ago and making playlists has been my go to activity when I’m bored or stressed. I have a playlist for just about every situation now. I love how music can make you feel better. Girl yes!!!! I get my ENTIRE life on Tidal. Been a member for almost a year. I have a playlist for everything too!!! Love, love love those quotes!!! Amen!! Thanks for that. Nobody is worth my time, if they aren’t going to be an uplifting spirit in my life! Thanks!!! Music is definitely theraputic. I’ve actually started a new series of sharing music every Saturday. Be sure to check it out. Saturday Sounds!!!! Thanks for reading!! !